Upon hearing the phrase ‘Beach Fossils’ for the first time, what comes to mind is the remains of a long dead animal or plant that was found at a beach, but rock music lovers would immediately link the phrase with the indie rock band that has received prominence in the world of lo-fi music. The Beach Fossils have successfully carved a niche for themselves with their lo-fi production of music, to learn more about the band, keep reading. The band, Beach Fossils, is made up of four men, whose names are; Dustin Payseur, Jack Doyle Smith, Tommy Davidson, and Anton Hochheim. These, as of 2019, are the current members of the band. 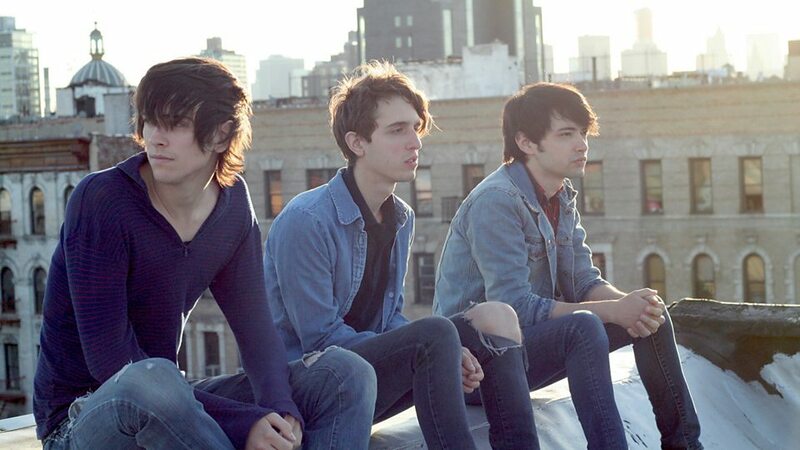 Beach Fossils, since its inception in 2009, has gone through some changes, especially in the people that make up the band as some of them left the band and were replaced by the aforementioned names. Beach Fossils was formed in 2009 and was created as a means to help Dustin Payseur’s career as a musician. In that year, Christopher Sennott Burke and John Pena were employed, with the former on the guitar and the latter on the bass. They joined the band after Payseur had already recorded and compiled all the songs which will make up their eponymous debut album. By 2010, the band released the single Daydream/Desert Sand, this release occurred in February and by May they had released the entire album. Critics loved the album and the band was lauded for its production, having a great first album was instrumental in the band’s success and growth. Immediately after the release of the first album, work began for Payseur and Pena for the band’s next project, which was the EP, What a Pleasure. It was, however, after the EP had been finished that Pena left the band, his reason for leaving was to start his own band which he’d come to name Heavenly Group. After his exit from the band, Tommy Gardener came on board while Pena was replaced by Zachary Cole Smith on the Bass. By 2013, Beach Fossils had released an EP and one more album, Clash of Truth. This album made it to the independent albums charts and peaked at the 40th position. All of their albums and EPs had been released independently until 2017 where the LP Somersault was released under the record label Bayonet Records, which was owned by Payseur and Kate Garcia, who is his wife. This was the same year that Gardener left the band to China. His decision to move was made out of a desire to have a change in his career. Beach Fossils have had a great career and although the band started off with Payseur having most of the power over the band’s creativity with him writing and creating the songs, they operate in a much more inclusive way now, with all members of the band contributing to the writing and creative process involved in making music for the band. • Most of the band’s songs draw heavily upon the personal experiences of Dustin Payseur. He has described the songs as honest insights into his personal life and relationships. • To keep up with the band, you can follow them on their various social media platforms where they maintain a high level of activity keeping fans updated with their works. On Instagram, they have more than sixty-six thousand followers and on Twitter, they have pretty much the same amount of followers. The Instagram page contains mostly clips and photos from their live performances and studio sessions. • The Beach Fossils were scheduled to perform at the Coachella music festival in April 2019. • Beach Fossil were part of a TV show. In 2016, Beach Fossils went on a hiatus and during the break, they appeared on the television show Vinyl. The show was produced by HBO and was a fictional representation of the music industry in New York in the ’70s. The show featured a number of musicians who depicted real-life musicians; it was short lived and only aired from the 14th of February to the 17th of April in 2016. Despite having no experience in acting, the members of the band were able to pull off an impressive performance.